Miller says he is grateful to finally be up on television, knowing he cannot run this race like he has his previous state House bids. Miller admitted it has been tough to watch Murphy on TV since the day he won the primary but there will be more to come. Murphy campaign spokeswoman Christie Stephenson said there will be a continuing TV campaign, mailers, and digital ads in both English and Spanish. Miller dismissed Murphy’s advantage, but knows it will be tough to overcome. “Yes, she is able to capitalize on funds, but the message is still ‘don’t look over here. I am going to tell you about my wonderful family, but at the same time I am voting against cutting their taxes’, so I don’t know if it is genuine,” Miller said. Miller’s new TV ad focuses on Murphy’s overall voting record as being in lock step with U.S. House Minority Leader Nancy Pelosi, D-Fla., and targeting the Central Florida Democrat for voting against tax cuts, something the Republican often harps on when he is on the campaign trail. Those facts are in dispute though. The Murphy campaign cited a 538 scorecard showing her votes align with President Donald Trump’s policies at 50 percent. Murphy also claims to have voted against Pelosi 13 percent of the time (125 out of 960 votes). Stephenson dismissed the Miller ad as false. “Swing and a miss. Stephanie Murphy has a strong bipartisan record — earning an endorsement from the U.S. Chamber of Commerce and the ranking of seventh most bipartisan member of the U.S. House,” Stephenson told Florida Daily. Can Miller keep up the momentum and the ad blitz? “Maybe you could put the word out that I could use some help….. Money is something I am going to have to be working for right to the very end, and the money that I raise, I will put on TV and try to get the message,” Miller told Florida Daily. 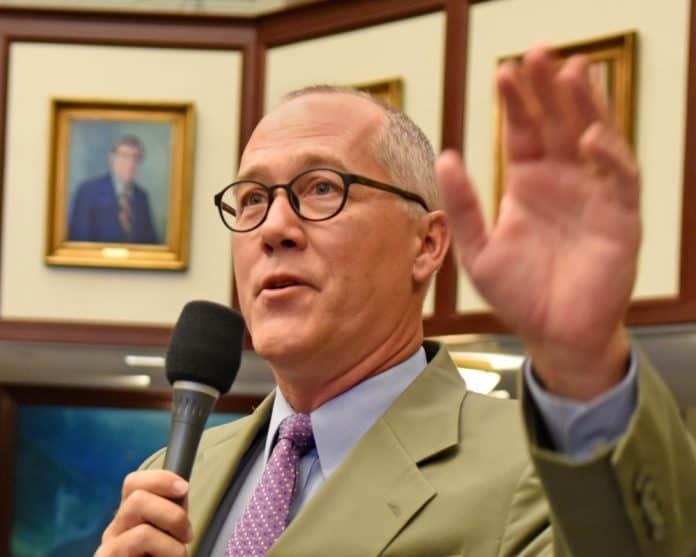 Where is the national money for one of the most competitive congressional races in the nation and, realistically, the only chance for the GOP to flip a seat in Florida? Miller hasn’t been sitting around waiting on the Koch brothers and National Republican Congressional Committee (NRCC) to let him bathe in campaign cash. Miller noted there is a pecking order of sorts. “Incumbents are the ones, and then you get to the opens, and then you get to me. I am a realist. I know that,” Miller said. For now, he will have to cobble money together and stay up with the ads until Election Day. “God willing. It may be up and down as things come in. A lot of that will be strategy as we go and will depend on what happens in the world and state,” he told Florida Daily.